Microsoft PowerPoint is used by all Windows computers around the globe. It is particularly preferred by presenters, for the more persuasive the presentation, the more effectively thoughts can be understood by audience. Users would like to spend large amount of time and energy to make a perfect PowerPoint file. Sometimes, the carefully prepared document files can be get lost or damaged. And users should be able to do PowerPoint file recovery and restore lost data. Unfortunately, document files like Word, Excel and PowerPoint can get lost due to various reasons, which happens to other sort of files as well. When you are aware that PowerPoint files are lost, you should got to Recycle Bin at first, for deleted files will be put there. If you can’t restore it from Recycle Bin, then you can rely on an updated backup. However, in some cases, there is no backup available. Then you still don’t need to worry. You can restore deleted files with PowerPoint file recovery software. It is strongly recommended to try file recovery software which has the ability to fix diverse file loss issues for both trained and inexperienced users. 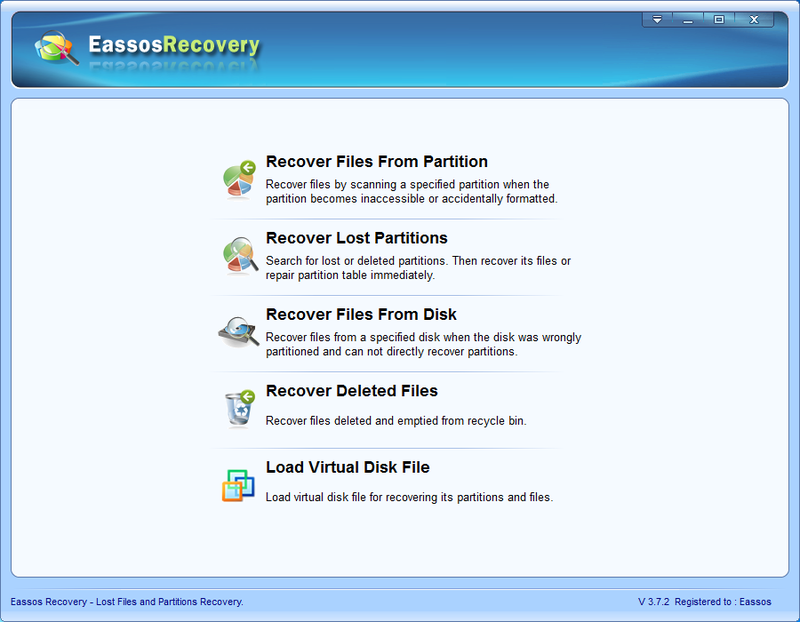 Then Eassos Recovery becomes the most reliable and easy option. 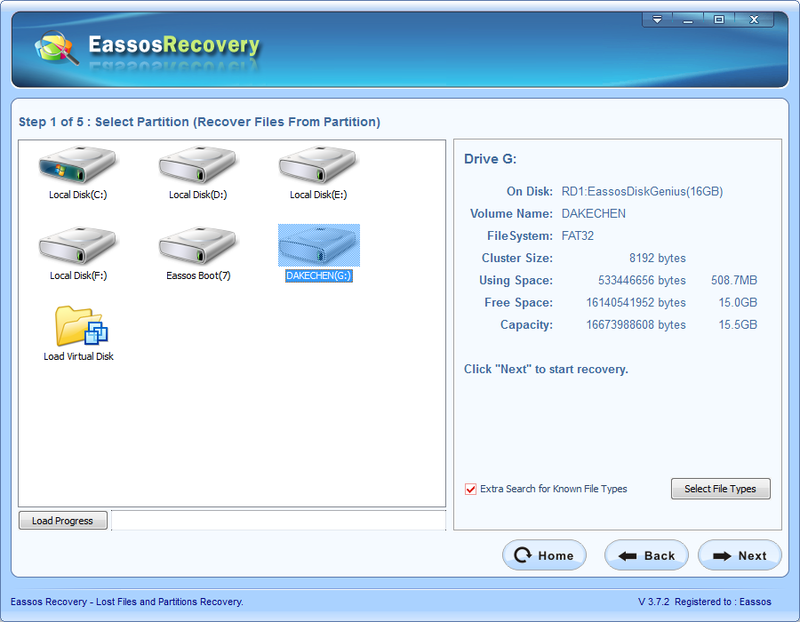 This recovery software can retrieve lost PowerPoint files that are deleted or formatted easily. 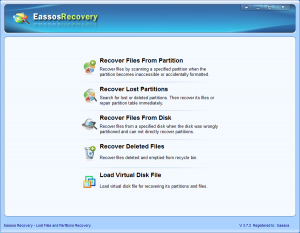 It’s no longer a painful process of document recovery with the assistance of Eassos Recovery. This software guide through the entire file recovery course and you don’t need to worry about doing unfamiliar task, since the recovery wizard can do everything for you with through and simple steps. 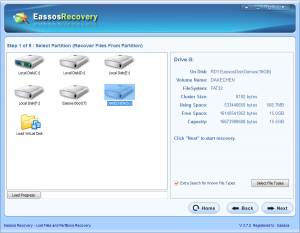 Step 1: Launch Eassos Recovery and select suited recovery feature. Step 2: Select the drive or partition where lost PowerPoint File was stored, and click “Next” to search for document files. Step 3: After scanning, you can preview all types of document files, such as PowerPoint file, Excel file, Word file, Text file, etc. Step 4: Select lost documents you need and click “Next” to get them recovered to a allocated location. This entry was posted in Data Recovery and tagged document recovery, file recovery software, PowerPoint file recovery, PowerPoint recovery by EASSOS. Bookmark the permalink.